Both tap and bottled water come from surface and ground water sources. Surface sources include rivers, lakes, streams, ponds, reservoirs and wells. We would never drink water from a lake or stream because we know it is very likely contaminated. On the other hand, groundwater created from rain, snow, sleet and hail soaks into the ground. It goes through the public water filtration system. The water is filtered through layers of permeable rock, clay, gravel and sand. The last step is to add in fluoride and chlorine. Pumped into the tap, the water is accessible for drinking and serves many other purposes. As water travels over the surface of the land or through the ground, it can pick up contaminants such as rust, parasites, VOCs (volatile organic compounds), lead, parasites and other waterborne diseases. 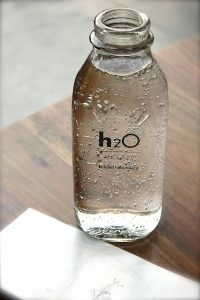 Nowadays, many people consume bottled water for convenience. But is bottled water safe? 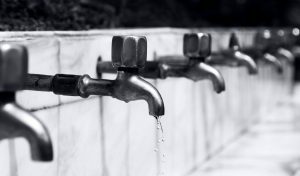 Is it a healthier alternative to tap water? You decide. Bottled water is pricey compared to tap water,and it varies dramatically in quality. An estimated 40 to 70% of bottled water is no better than tap water. A pretty label affixed to the bottle implies the water inside the bottle is as natural as that of mountain spring or glacier, but how true that is, is for you to find out. Heat increases the release of chemicals from the plastic bottles. Due to transportation from one city to another, how long the water has been stored in the bottle is unsure of. As the plastic breaks down over time, BPA (Bisphenol Acid) is released into the water held in the polycarbonate bottles, particularly when the bottle is heated (especially in a heated car/van) or repeatedly washed. There are harmful effect of BPA to the body. Dr Theodore Baroody, D.C., N.D., Ph.D. Nutrition and author of the classic book, Alkalize or Die states that “One glass of ionized water can hydrate your body better than gallons of any other water”. Contact me for a free trial on the water filter we used to purify and ionize the water we should drink.